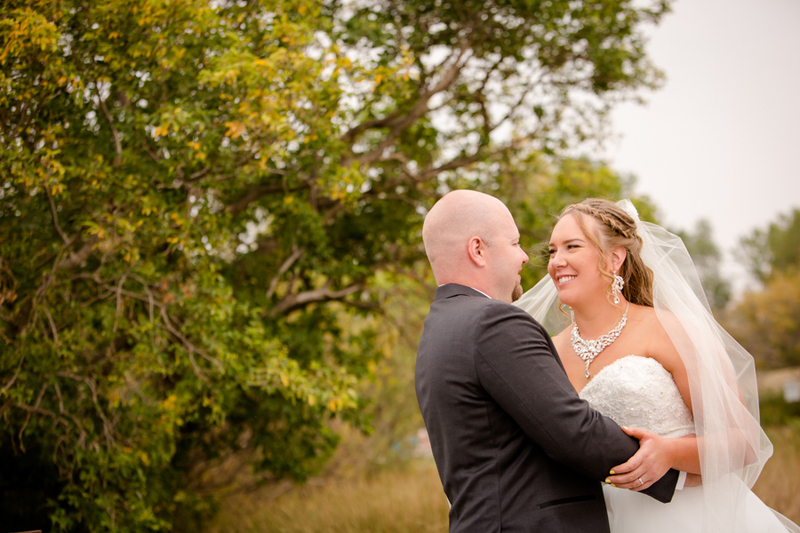 Matthew wanted to give his bride-to-be Sarah a proper tour of his home town area when they travelled here for their wedding. 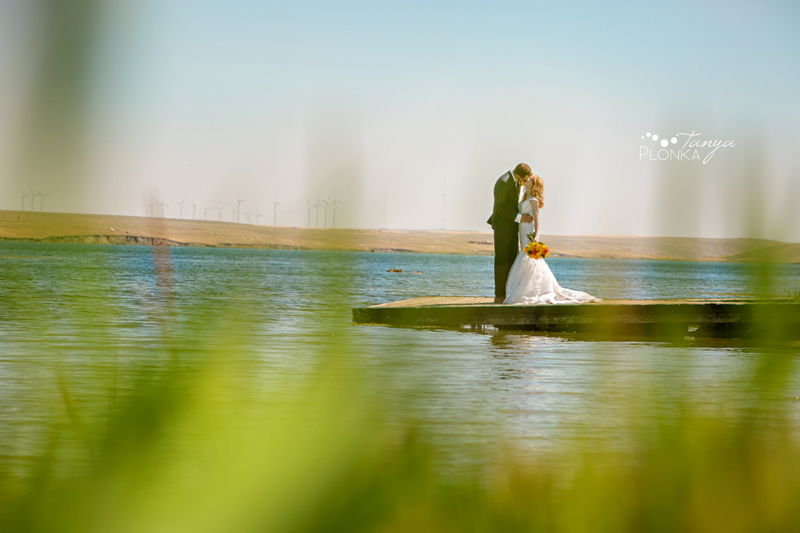 They hit the best of everything with a Bayshore Inn ceremony and Readymade wedding reception, with getting ready photos in Lethbridge. 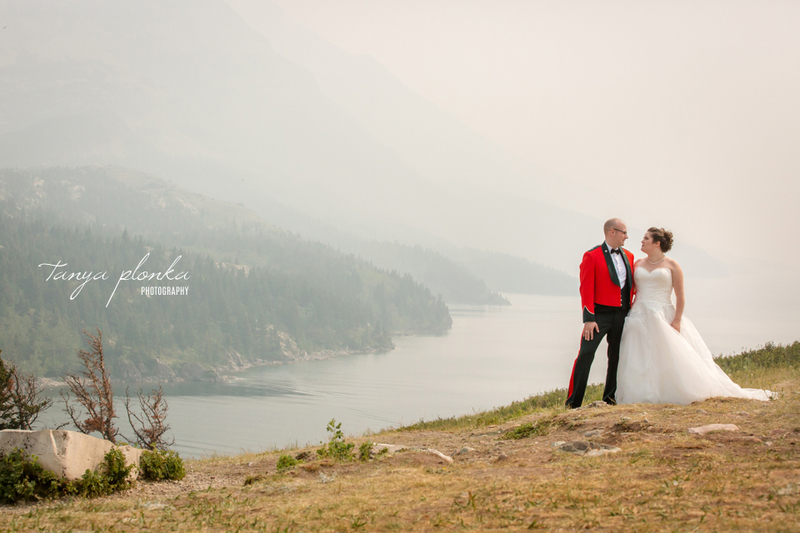 Arriving for their photos in Waterton was Sarah’s first ever visit to the national park! We all wished for less smoke so Sarah could see how amazing the mountains are, but could catch just enough of them fading into the horizon. Sarah looked stunning with a classic, romantic look, and Matthew wore his military formal wear. They looked amazing together. Following us throughout the day was their daughter who had so much fun that she couldn’t stop shouting “Yay!”. It was contagious and made everyone around her also exclaim with joy! Sarah and Matthew could not stop grinning at each other and their daughter all day. After a first look at Cameron Falls, portraits at the Prince of Wales, and an outdoor ceremony at the Bayshore Inn lawn, they and their guests headed closer to home. Their fun reception was held at the Readymade hall where we were joined by all of the guests who weren’t able to make it to Waterton but still wanted to help them celebrate.